Last Saturday night I returned home around 1:30am. Upon rounding the corner to my condo, I stopped dead in my tracks. I looked at my company, back to the scene before me, back to my company. "Was that there when you got here?" Spread out along the balcony in a perfectly straight line, were rocks. Was this a sign? 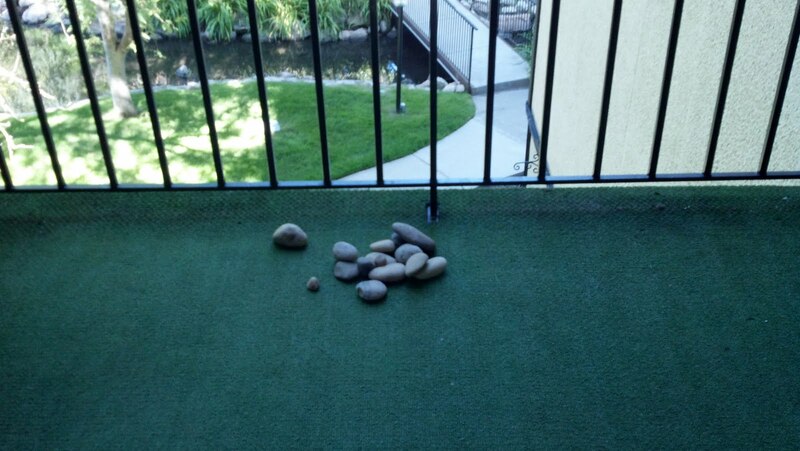 How did rocks get along the balcony? Are aliens trying to visit and communicate with me? I have some mischievous friends (to whom I have given keys) to say the least and my mind went straight to them. "You have to come in and make sure my condo is okay." "Huh. And here I thought my friends were trying to tell me I rock." Sunday afternoon when I arrived home from church, there were the rocks. Only changed in formation.